You can guess how many raise their hands. Not many. Asking for money, I always tell them, is not the be-all and end all of fundraising. In fact, if you look at the fundraising process, solicitation—asking for funds—is only a very small part of what fundraising is all about. So you don’t want to ask? Fine, I say. But you have to be engaged in other aspects of fundraising. Being an ambassador is one of those important roles. Making sure that potential donors know who you are and what you do is crucial. But being an ambassador entails far more than that. To be an effective ambassador, your board members must involve others so that they become supporters. That means they have to show and tell those prospects why your organization merits their support. And then to let you know who they’ve spoken with. And what that conversation was about. Being an ambassador can also help staunch the flow of donors who gave once but not again. The numbers on donor retention are horrendous—especially for smaller nonprofits. They—you!—don’t have the resources to keep in touch with the majority of donors. That’s where your board members can come in. Simply telling people about the difference a donation makes is a great way for your board member to connect someone closer to you. Making sure your board member knows how those gifts actually do make a difference is a wonderful way for you to connect that board member closer. It is what is typically called a win-win situation. Making sure that your board ambassadors understand the importance of that role—and the importance of letting you know what they do as ambassadors—will help your fundraising in so many ways. Many years ago, one of my clients had a very problematic board member. One of his most problematic traits was his lack of financial support for the organization. When I started working with this group, we talked about board fundraising roles, and he—not unexpectedly—flat out refused to have anything to do with fundraising. And that’s what we did. Every week, we sent to him—and while we were doing that, we also sent it to the rest of the board—one bullet point talking about a success, a change, a something, anything that happened because donors gave the organization the resources to make those things possible. Janet Levine works with nonprofits, helping you to be more successful and to move from mired to inspired. Learn more at www.janetlevineconsulting.com. 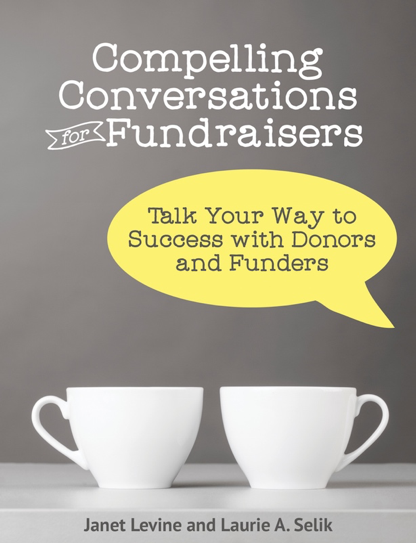 Consider giving your board a one-hour training to make them better fundraisers!